Gospel Recordings was founded on the vision of a young missionary, Joy Ridderhof. Because of the impossibility to continue her work in Central America, she made her first recordings in Spanish in 1939. This compassion for people who cannot access the gospel through the written word led her to discover that thousands of tribes and villages could not come to know the Lord because of the many language barriers that exist. Since these beginnings, GRN has carried on the vision to take the Word of God to the ethnic groups of the world who cannot hear in any other way the Good News of Jesus Christ, in a clear and culturally accepted way: "To each in his own tongue". 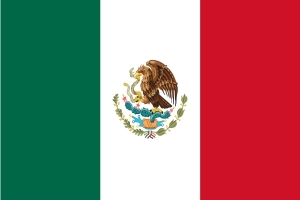 Click here to find languages spoken and recordings available in Mexico. The Numbers of Culiacan Project 2014 - This year in the fields, we distributed DVD's, containing audiovisual Good News . . . The experience of Culiacan 2011 - A letter from Beth, one of the participants of the Culiacan outreach in Mexico. Culiacan 2011 - Short Term Mission - In January every year teams have visited thousands of workers in Culiacan, bringing words of hope and life. Chachi Recording - The Amazon in Ecuador is a place of huge diversity of different cultures.